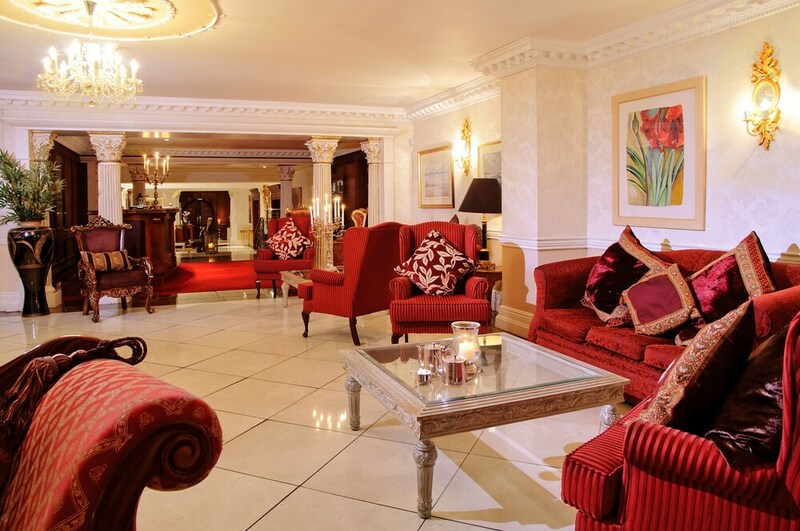 Situated in the historical district, this luxury hotel is within 1 mile (2 km) of Muckross Abbey and Killarney National Park. INEC Killarney is 1.6 mi (2.6 km) away. 2 restaurants, a full-service spa and an indoor pool are available at this smoke-free hotel. Free full breakfast, free WiFi in public areas and free valet parking are also provided. Other amenities include 2 bars/lounges, a fitness centre and a spa tub. All 70 rooms feature thoughtful touches such as bathrobes and slippers, along with free WiFi and 24-hour room service. Other amenities available to guests include satellite TV, DVD players and premium bedding. In addition to a full-service spa, Muckross Park Hotel & Spa features an indoor pool and a spa tub. Dining is available at one of the hotel's 2 restaurants. Guests can unwind with a drink at one of the hotel's 2 bars/lounges. Guests can enjoy a complimentary breakfast each morning. Wireless Internet access is complimentary. A business centre is on-site at this 5-star property. This luxury hotel also offers a fitness centre, a sauna and a rooftop terrace. Guests can use the indoor pool and health club at a partner property. For a surcharge, a round-trip airport shuttle (available 24 hours) is offered to guests. Complimentary self-parking and valet parking are available on-site. Muckross Park Hotel & Spa is a smoke-free property. Yew Tree – This restaurant specialises in Irish cuisine and only serves dinner.Guests can enjoy drinks at the bar. Open daily. Major Colgans – This pub specialises in Irish cuisine and serves lunch and dinner. Open daily. Start your day with a free full breakfast, available daily from 7:30 AM to 10:30 AM. Room service is available around the clock. An indoor pool and a spa tub are on site. Other recreational amenities include a sauna, a fitness centre and complimentary bicycles. The Spa has 8 treatment rooms, including rooms for couples. Services include facials, body wraps, body scrubs and body treatments. A variety of treatment therapies are provided, including aromatherapy and hydrotherapy. The spa is equipped with a mud bath, a sauna, a spa tub and Turkish bath/hammam. This property offers transfers from the airport (surcharges may apply). Guests must contact the property with arrival details before travel, using the contact information on the booking confirmation. Pool access available from 8 AM to 8 PM. Reservations are required for massage services and spa treatments. Reservations can be made by contacting the hotel prior to arrival, using the contact information on the booking confirmation. A resort fee is included in the total price displayed. No pets or service animals are allowed at this property. Fáilte Ireland (The National Tourism Development Authority of Ireland) assigns an official star rating for accommodation in Ireland. This Hotel property is rated 5 stars.